We take pride in being able to provide spare parts for Dell OptiPlex systems, quickly and cheaply – whilst ensuring they are covered by a warranty and meet the standards detailed in our Q20 Promise. 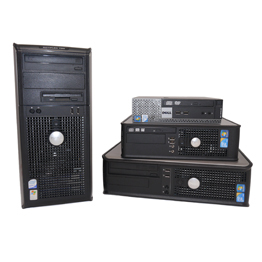 Find parts for; OptiPlex power supplies, motherboards, hard drives and more. If you can’t find your Dell spare in our selection, don’t worry. Get in touch using our enquiry form or call us on 01428 707900 and we will take your details and look to find your part as quickly as possible. Sorry, we are currently out of stock of refurbished Dell OptiPlex Spare Parts online. As we are constantly updating our range, please come back soon for some fantastic offers, or call us on 01428 707900 to see if we have stock available in our warehouse.